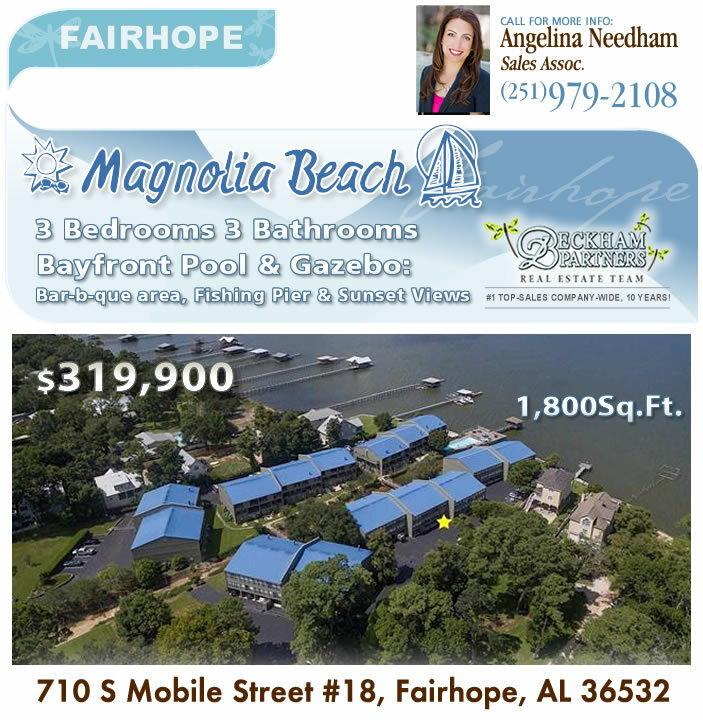 Fairhope waterfront condo for sale - experience Magnolia Beach with bayfront pool, fishing pier, and gazebo - LOCATION, LOCATION, LOCATION! 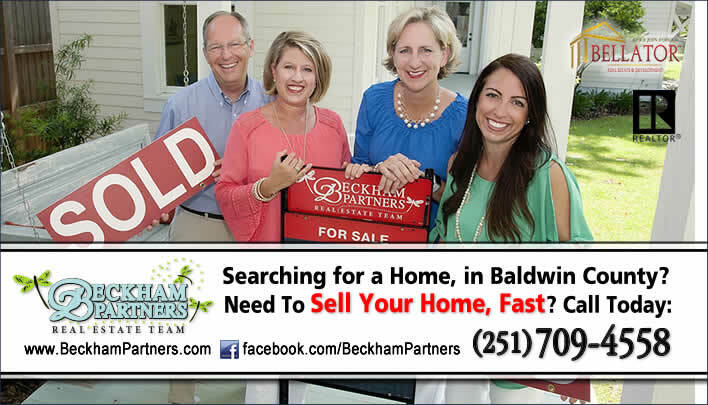 Baldwin MLS # 269790 | List Price: $319,900 | 1,800 SqFt. Enjoy the most beautiful sunsets on the bay! 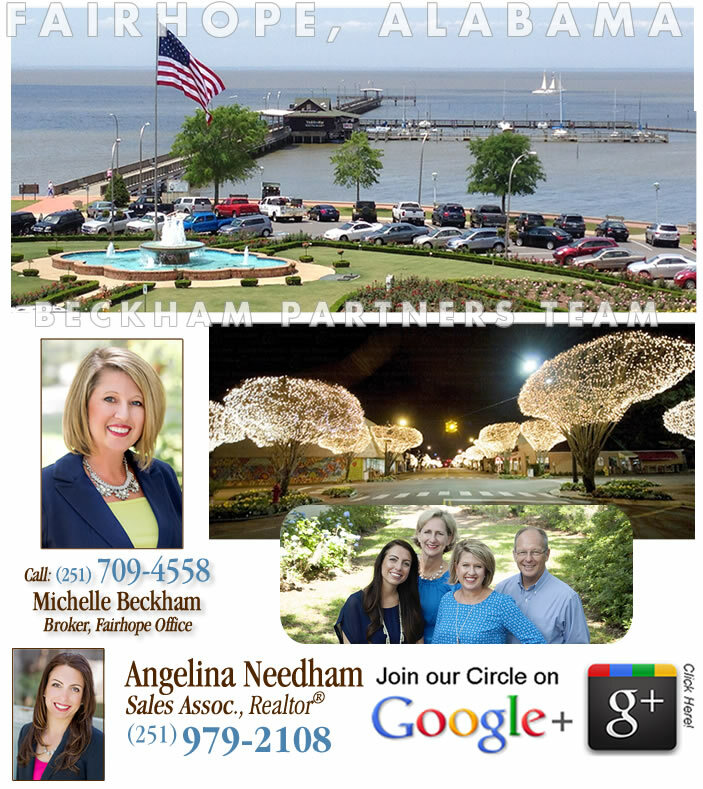 Wonderfully updated townhome located on the bay in beautiful Fairhope! Completely remodeled boasting many upgrades including granite, custom cabinetry, stainless appliances, crown molding, new tile and paint. Lower floor complete with full bath makes this space completely versatile and is currently used as a bedroom but could be a bonus room or office. Second floor features remodeled kitchen, living room with fireplace and balcony with bay view. Top floor has 2 bedrooms and 2 baths with another balcony with a bay view! Complex includes newly remodeled pool, amazing waterfront deck and covered gazebo. 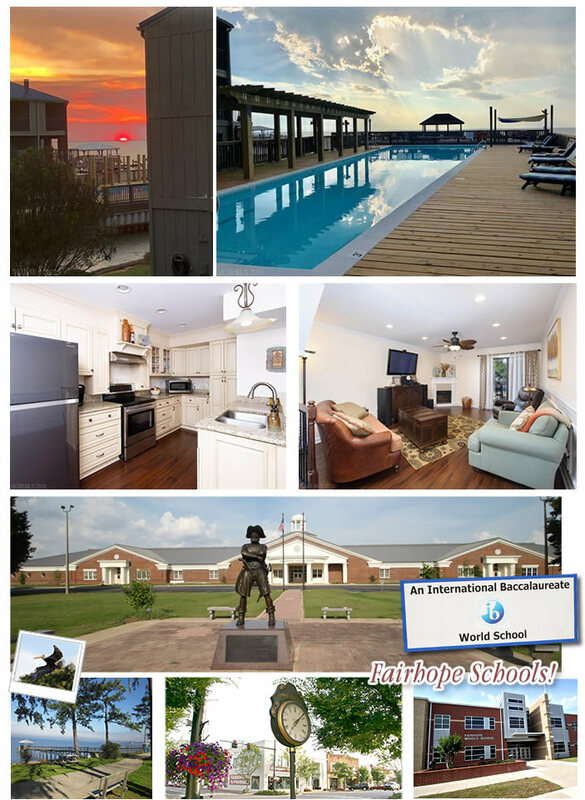 Incredible location within walking and biking distance to downtown Fairhope. 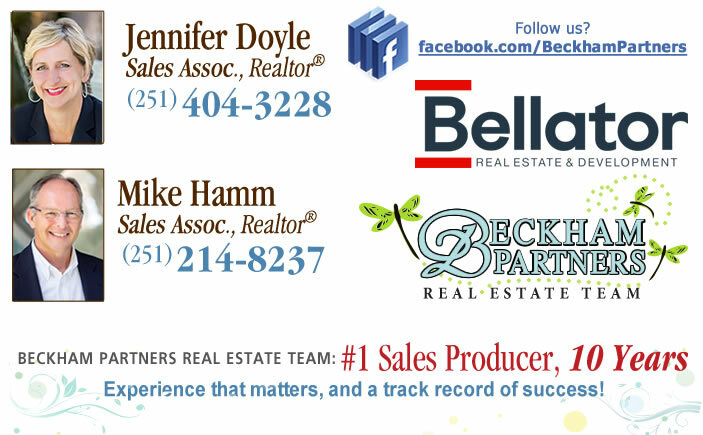 You can start living your dream of bayfront living today!